Property 2: Great beach for kids! Property 5: Cozy cabin w/firepit just minutes from skiing & Fryeburg Village! Dogs OK! Serene Kezar Pond Log Home With Sandy Frontage, Gorgeous Sunsets Mountain Views! Property 9: Serene Kezar Pond Log Home With Sandy Frontage, Gorgeous Sunsets Mountain Views! Property 12: Private, Updated Chalet Near Storyland! AC, Cable,WiFi,Fire Pit,Pets Welcome! Property 18: A-Frame Camp in the White Mountains! Property 19: 2BR Cozy, Updated, Pet-friendly Chalet-AC, Fire Pit, 3 min Walk to the Beach! Property 21: Come & get 'Lost on our River' - Charming, secluded cabin, close to it all! Property 25: Charming Waterfront Cabin with Mountain View and Private Beach Access! Property 26: Family Friendly Rustic Newly Renovated Cabin Abutting The White Lake State Park. Property 28: Summer! Private Maine Cottage with Hiking, Swimming, and Seasonal Activities! Property 29: Private,Peaceful,Updated 2BR Near Storyland! AC,Lg Porch,WiFi & Pets Welcome! Property 30: Cozy 2 BR w/ AC, WiFi - Near Storyland, Swimming & Hiking - Pets Welcome! Property 31: Picture Perfect Cabin with a Private Dock. NOW WITH WIFI! Property 34: 1 mile to Storyland and short drive to many family activities! Great Amenities! Property 35: 3BR North Conway Log Cabin w/Private Hot Tub! Property 36: Conway nh Cottage! Perfect for families, amazing views!! Hot Tub! Property 39: WELCOME Spring & Summer - Bridgton Bungalow Cottage - Bring Fido - Pet-Friendly! Property 40: LUXURY LOG Cabin. BEST Views of Mt. Washington & Chocorua. Close To Everything! Property 47: Look out the windows at the mountain fall foliage, close to N. Conway. Property 49: Lakefront Denmark Cottage w/Dock,Canoe & 4 Kayaks! 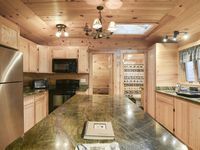 Property 50: Cozy Bartlett Cabin - 5 Mins to Attitash Resort!